Hey guys! Today I was wearing a beige sweater, a jacquard skirt, a black leather jacket, a black & gold gemstone necklace, and studded black shoes. I love the current ethnic trend although it may hard to pair with, so I decided to mix up the look a little bit. I also love these new studded (scarily high) shoes that I found on Primark. Olá! 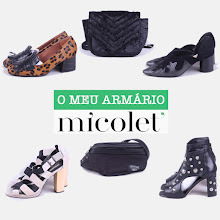 Hoje estava a usar uma camisola bege, uma mini saia jacquard, um casaco the couro preto, um colar de pedras preto e dourado, e uns sapatos altos com tachas douradas. Adoro a nova tendência étnica que talvez seja difícil de usar com outras peças, por isso decidi misturar o look todo. Gosto imenso destes novos sapatos que encontrei na Primark (e são assustadoramente altos). Thanks Miriam! Your blog seems cool ;) don't forget to follow us! 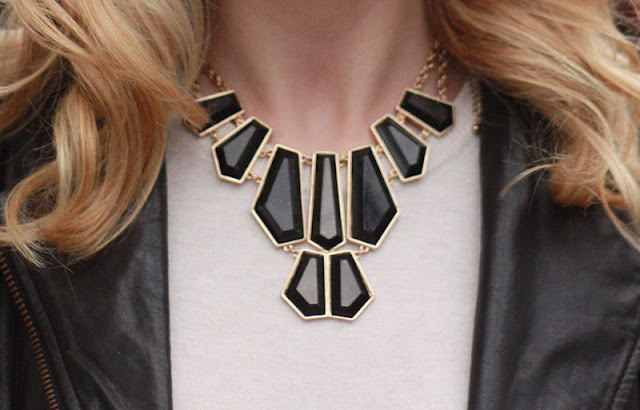 I love that heels and your statement necklace because I am currently in the statement necklace craze!!! So pretty! Your shoes and accessories are completely a-mazing! !